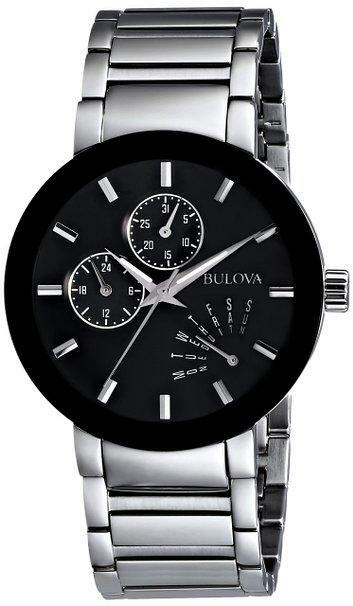 Bulova Mens Watch Classic Collection 97A123. 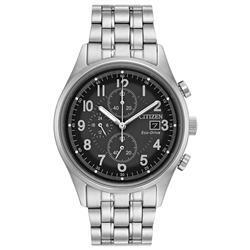 From the Classic Collection. 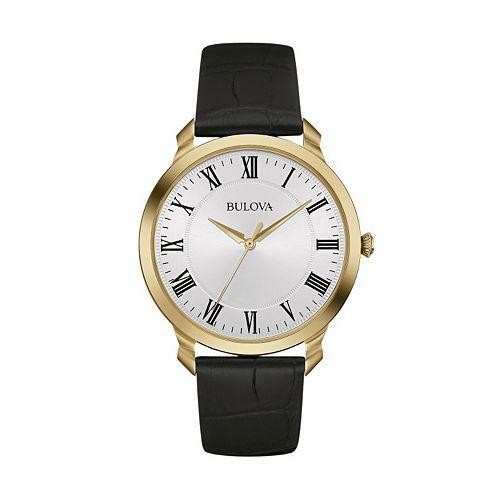 With stainless steel case in gold-tone finish and white dial, flat mineral glass, and croco-embossed black leather strap with three-piece buckle closure. 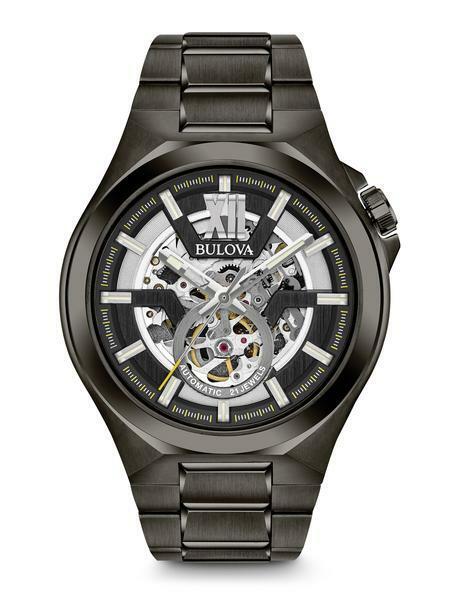 Movement: Quartz, Case diameter: 41 mm, Case thickness: 6.3 mm, Water resistance: 30M 3-year limited warranty.